It is a tradition in many families to pass down certain much-loved pieces, such as a set of china, holiday ornaments, or special occasion stemware. Such wares must usually be washed by hand rather than in a dishwasher, they are typically used only once or twice a year. In the interim, it can be challenging to find a safe place to store these delicate items. Owning glassware and other pieces that require storage on an almost permanent basis does not have to become complicated. To save space in the home, and ensure that these items are securely tucked away from other stored goods, a personal storage unit in our Highland facility is ideal. Large boxes for fragile items are inappropriate for several reasons. First, loading a large box with too many pieces makes it heavy to move from one place to another. Leaving space in the large box makes them easier to carry, but allows contents to shift, possibly clinking against one another, causing damage. Stemware and other glassware are best kept in small to medium boxes, preferably with dividers. Speak with our friendly, knowledgeable staff when choosing boxes to get the sizes you need, hassle-free. Even in boxes with dividers, fragile glass pieces should be protected with proper wrapping. Packing paper, or even newspaper, will lend an extra buffer between fragile goods and other items. A small amount of paper should be pushed into the hollow of glasses, and plenty of paper should be used for each piece, based on the items delicate nature. Items of extreme value, especially, should be wrapped and packed for ultimate protection. Packing fragile, less-used pieces is a small task that provides huge reward. On those occasions when your beautiful china and stemware are appropriate, they will be in perfect condition, having been packed away safely in personal storage. 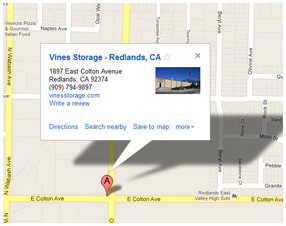 Contact Vines Storage for information on our security-controlled, indoor storage units.